Rogue Motorsport knows Toyota MR2s. On a typical day, you can find them converting an MR2 Roadster to a wide-bodied V6 race car. What to do with all those extra MR2 parts that tend to take up room at the shop? It seems a shame to just throw them away! The Rocket XP-1 is the experimental prototype of a purpose built track and race car that Rogue is developing on the MEV Rocket chassis in collaboration with RTR. They’ll be testing and developing throughout the year and aiming for a launch at Autosport International in 2013. 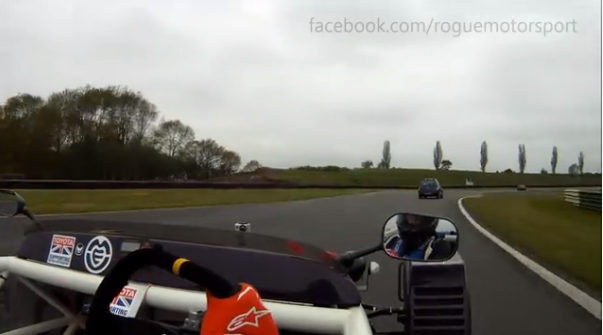 Check out a video of Rogue Motorsport taking their MEV Rocket XP-1 to Mallory Park for the PPC Trackday and Development testing. Sure looks fun.